PRETTY: This poncho is just pretty. It feels soft and comfortable. LARGE COLLAR: The big collar is very popular this Fall. 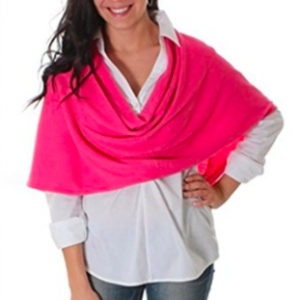 The ample 20″ collar drapes softly around the neck and has a classy drape to the neckline. 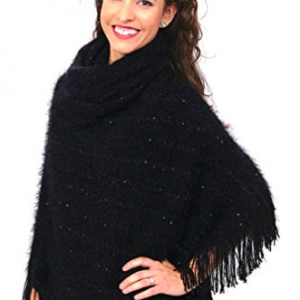 FRINGED WITH A SPARKLE TRIM: The poncho can be worn with a triangle fringe in the front or twisted to the side to have a straight across the hips hem. SIZE: This is a very ample poncho. It measures 31″ from neck to hem and 62″ across. GUARANTEED: If you don’t like the feel of this material and think it is super soft and comfy, we want it back, no questions asked! Buy with confidence! 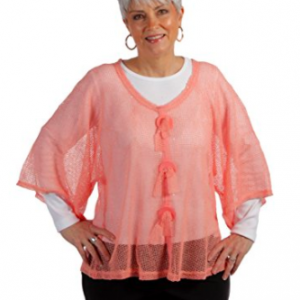 Feel beautiful and warm at the same time with this elegant poncho by SelahV Fashion. This luxurious poncho is characterized by graceful simplicity and transforms any outfit into a timeless look worth remembering. Ultra-soft fabric provides maximum comfort and an added layer of cozy warmth. The wrap allows for easy movement and flexibility while ensuring you stay up-to-date with the latest fashion trends. 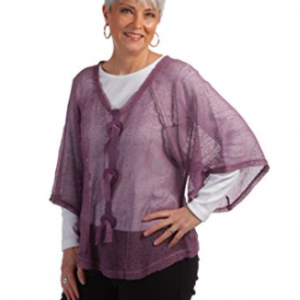 The ample wrap (62 (w)” x 31 (L)”) size allows for great versatility, enabling the piece to be worn in a variety of styles. Choose between turning the poncho and wearing it with the triangle fringed hem dipping in the front or turned for a straight hem. It is perfect for casual days at the office and evenings on the town when your outfit needs that little extra bit of magic to make you stand out among the crowd. There are two choices of colors, black or crème. Each captures the look of the season perfectly and adds a regal finishing touch on your outfit. Exuding an effortless sense of personal style and natural elegance, the SelahV Fashion poncho wrap is an indulgent mix of trendy and practical. Made from 100% acrylic, the premium fabric provides a flowing and textured look to compliment any figure. The lightweight fabric makes it easy to bring around with you on-the-go and folds up nicely as you travel. 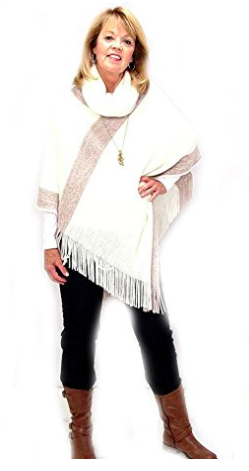 This poncho also makes a perfect gift for any occasion! The one size fits most makes that an easy decision!